F. Harry Cummings,Ph.D., R.P.P, C.E. Harry is the Director of Harry Cummings and Associates (HCA) which was established in 1997. Harry has a Masters and Ph.D. in Geography from Clark University in Massachusetts and a B.A. (HON) Geography from Western University in London, Ontario. He is a Registered Professional Planner (RPP) and Credentialed Evaluator. He speaks English, Indonesian and French fluently. Harry worked in Ottawa for the International Development Research Center and the Canadian Council on Rural Development. He followed this with a position with the University of British Columbia, based In Sulawesi, Indonesia where he directed approximately 20 professional Indonesian and Canadian Planners in the development of a regional development strategy for the island of Sulawesi, Indonesia. Following this assignment, he returned to Edmonton, Alberta where he worked as a private consultant on regional economic development issues with Alberta, the Federal Government, Indigenous Metis and First Nation Communities. Currently, Harry is Past President of the Canadian Evaluation Society with its 1700 members, nationwide. 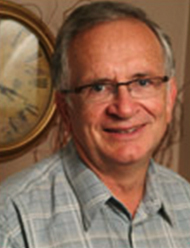 From 1982 to 2016 he taught International and Canadian Rural Planning as a Professor at the University of Guelph including courses on Planning, Evaluation, Regional Economics, International Rural Development Planning, Research Methods and Rural Policy. He has presented papers and published on Evaluation and Rural Planning and Development in conferences in Canada, the USA and Europe. Harry is an avid sports fan. He enjoys watching basketball, hockey, baseball, golf and enjoys time on the links as well. His second home is his cottage in the Muskokas, where he enjoys the serenity and quiet of Nature. He is a family man as well with adult children and a teenage daughter. He is committed to a consulting approach which promotes capacity building in the staff and programs of clients.